Namco Bandai's idol sim THE iDOLM@STER series lets players manage a group of young, female pop stars. Well, not all of them are female, it seems. 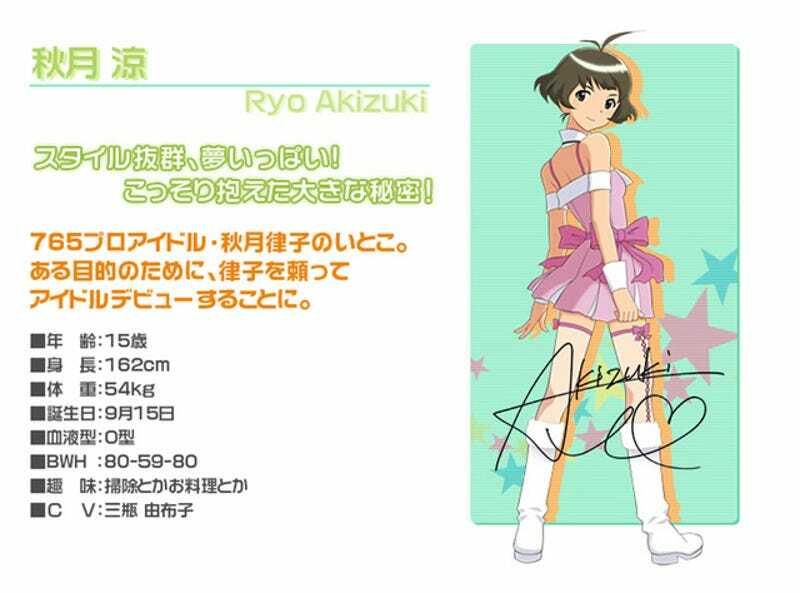 In DS title THE iDOLM@STER DearlyStars, 15 year-old Ryo Akizuki reveals that she is a he. A clip of the game has popped up online, and Ryo is worried about being seen. "They'll find out I'm a male," she, err he, says. She, dammit, he puts on make-up and stuffs bra pads in his, her, doh, his shirt.